The Forgotten Fairy Tales: The Spectra World is rated 4.0 out of 5 by 14. Rated 5 out of 5 by denniann2 from pretty good game a good HO game. you are looking for your family in the world of darkness where they have been taken after staying in this weird hotel. you find a world where people are enchanted into things. in order to free them you have to find the queen and disenchant her. you have a helper that surprises you and you find a family member you weren't expecting. you become a guardian of spectra in order to do all this. it is quite an adventure. Rated 5 out of 5 by Italia47 from Bella wants to conquer both worlds! Not in Alice's lifetime! The fairy tale world of Spectra, (not to be confused with Spectre, the James Bond movie), is real but it's dying. Soon our world will die, too, as we are interconnected! Ordinary people can't get there. However, Alice, a folklore professor, is no ordinary person. She is married to Brandon Carpenter, an engineer. They have a daughter, Mary. Alice's grandmother, Caroline, (God bless grandmothers), left her a note explaining that this so-called magical world is close but not everyone can see it, but Alice can as she is the chosen one. And the adventure begins! Thus far, the storyline is wonderful. I'm almost 2 hours into the SE version and I must say EleFun devs are one of the most creative developers around. I love the HOPs which have mini-game/puzzles within them. The tasks are fun and some are challenging. This game is definitely for all ages. I'm kind of sorry I didn't buy the CE version; but no matter, I'm having a great time playing this game. It's intelligent and adventuresome! The voice overs are exceptional! The music is excellent; however, the graphics, though well-done, are not as crisp or dynamic as I'd like, thus the 4-stars for the visual/sound quality. Some of the objects I encountered were small and semi-hard to decipher, but I figured it out. I was pulled in the moment I started playing this game and it's refreshing to see that these devs went above and beyond to entertain its customers, and entertained I certainly am, and I hope you will be, too! You have several modes to choose from and I chose custom. I always read the reviews, and the negative ones are just as important to me as the positive ones. And, too, if the game has at least 4-stars, most of the time, I'll bite, but only after reading the reviews. For me, this game is a winner and I highly recommend it. Bravo devs for your originality and creativity, thus the 5-stars! I'm anxious to get back to this great game! Try it or buy it. See for yourselves! Rated 5 out of 5 by patricia356 from Surprisingly Excellent Game Loved it from the beginning. Not a super original theme but different enough to be interesting. Thought some of the HO episodes had a novel presentation and were not predictible. Games and puzzles alternated between being easy and difficult. I loved the graphics and the music was appropriate and not distracting.The various locations were diverse and interesting. I have to say I was surprised at some of the less enthusiastic reviews. Like many others I have enjoyed playing this more than a lot of the games that have come out lately. Rated 5 out of 5 by biscuitsmama from IT'S GOOD TO TAKE A SECOND LOOK AND I AM HAPPY THAT I DID! Oh my, shocking! That is how my review of the CE version of The Spectra World began, and in all honesty, what is really shocking is that I gave this game such a poor review when it was released as a CE last month. As sometimes happens (depending on my particular mood) the first thing I saw, horrible smoky orbs with glowing red centers, rather put me off so I never got past the first several minutes of the game. One day when I had nothing better to do I revisited the game, and with a sale ended up purchasing it. 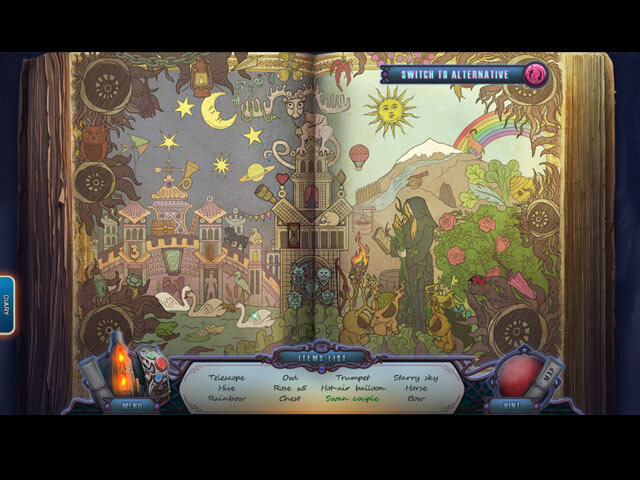 So this review is rather to apologize for my CE rating of the game, which wasn’t in any way a fair evaluation of The Forgotten Fairy Tales: The Spectra World, a game that is actually excellent and one of the best games I have played this year. I’m so happy that I went back and purchased the CE because The Spectra World turned out to be such a great game, and one that kept me entertained for two days. There were many reviews where the gamer felt the game was geared towards children or 10-year olds but I didn’t find that to be the case at all. I have played every CE HOPA game released here at BFG and still found myself needing the hint button more than once. Perhaps the demo portion of the game was a bit easy or predictable in game play strategy but there were challenges ahead. Although the subject matter might seem geared for children – maybe because of the storyline or theme, the game isn’t a child’s game at all. The HOP scenes were excellent with some being very creative and well-crafted. The scenes included the standard variety of list, silhouette, storybook and matching. Though some might find that the puzzles were all easy, I enjoyed them and found them fun to solve. I love puzzles but don’t always need the brain drain of the more challenging puzzles that some gamers enjoy most. The puzzles fit well into the storyline and didn’t feel like the developer inserted a puzzle simply to have one in a particular scene. 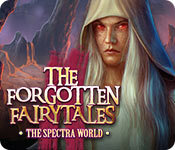 The development team that created The Forgotten Fairy Tales: The Spectra World is a favorite of mine and has presented some terrific games in the past. I am so sorry that my earlier review didn’t do justice to their creativity or talent for presenting what I truly hope is the beginning of a new series. In the end, this is definitely a 5-star game and one that I will most likely play more than once. If like me you might not have given the game a chance after you ran into those smoky black orbs, I hope you will go back and take a second look because this is certainly a game worth playing. Happy gaming! Rated 5 out of 5 by SparkleGlow100 from THE RUGGED OUTDOORS DONE PHENOMENALLY WELL! Fantasy/Fairy Tale Available at BFG since 2017. Review based on completed game. The outdoors are 80% of this game! Perspective and depth abound. We get stunning environments and clear detail! D'y ever want paths and rocks? Rocks that LOOK like rocks, with bits chipped off and moss? All that? Well, that's what you get right here. I was super impressed. Moody and mysterious. You get: rocky paths, endless mountainous backgrounds, ferns and barren trees, all manner of vegetation, ponds and water features, also volcanic and desert lands. Basically it's chock-a-block with all this good stuff. The creatures are quirky and a bit eccentric. Great! I wasn't sure about the fox though, but she was ok (nothing dangerous about her anyway). A very nicely told story. GRAPHICS - Widescreen or Fullscreen. Moody and mysterious, DETAILED outdoors. HOPS: 8 - You have an alternative, which is a game where you rearrange triangles to create a picture. PUZZLES: All skippable SOUNDS - with 4 adjustments: Music/Environment/Effects/Sound MAP: TRAVEL with useful indicators JOURNAL: NO DIFFICULTY SETTINGS – 4 –interchangeable HINT: Guides and leads INVENTORY – Lockable CHARACTERS: Regular interaction of a short duration. Quirky, not silly. Rated 5 out of 5 by bjdjtjbjd from Loved this game. Bought the CE when it went on sale. 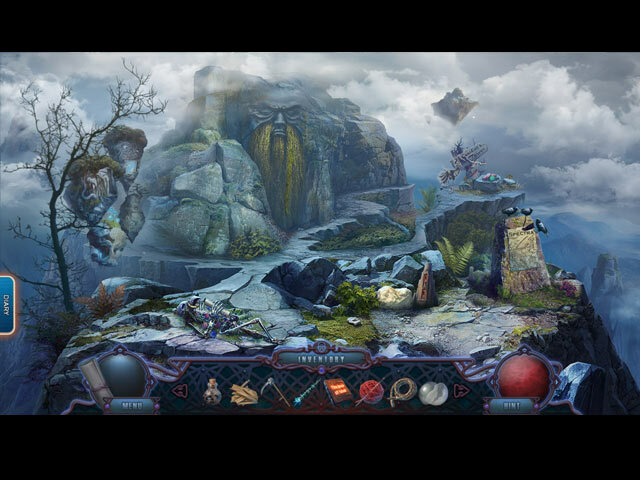 If you like fantasy games you will love this one. I wish they would make more of these kind of games. NOT too much back and forth that drives me crazy...lol Custom mode, for all of us, that hate those puzzles to skip them fast! Graphics are clear and bright. Try the demo and see for yourself, it does get better after the demo. I don't like talking about the details of any game because I feel your are telling people about the game and then, why bother buying the game. I also feel that reviews should ONLY be after purchasing the game and NOT just the demo. We all can get the free trial and see for ourselves what the game is all about. I used to put in my two cents of just the demo but ended up buying games when they went on sale and found those games turned out to be very good...some NOT so good. Rated 4 out of 5 by ninja226 from Imaginative adventure in Spectra World This appears to be an extension of the Witches Legacy family of characters, with Alice Carpenter, a folklore professor forced to search for her family in Spectra world and discovering her family's hidden links to this magical world. 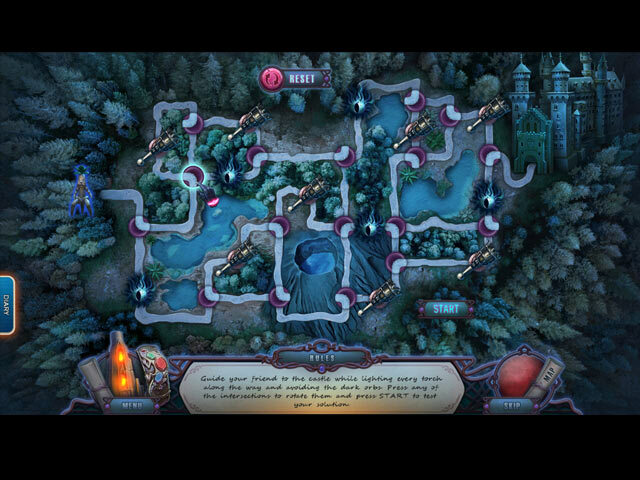 It has the same imaginative Harry Potter style magical elements throughout the game. The HOPs are more challenging with the use of highlighted words in a narrative format because you have to find an object that symbolizes the highlighted word. Puzzles are mostly easy, but I didn't enjoy the click and shoot games that much. The one aspect I didn't enjoy was the items to find to progress weren't always intuitive or logical. I also didn't like voiceovers that spoke slower than what you could read silently--that was a chore. The devs have done a good job and maintained the high quality of the Witches Legacy series. Rated 4 out of 5 by Ashleaves from Very Fun! I really enjoyed playing this game. Great graphics. Interactive map that tells you where there are active tasks and transports you. Very cool concept. Hope this becomes a series. I liked that you go a bracelet with powers to use. Good length on the game time as well. There are 4 levels of play with a custom option that you can set skip and hint to 10 seconds, which I think is important. Overall very enjoyable game play. Rated 3 out of 5 by pennmom36 from NO WONDER GRANNY WAS SO GOOD AT TELLING FAIRYTALE STORIES! You can't always judge a book by it's cover, and you can't always judge a game by its demo. (although it's a really good indication) Throughout the years I've learned by experience, that a bad game demo isn't always a harbinger of a bad game in its entirety. When I played the demo of the Collector's Edition, I wasn't all that impressed, but I also didn't think the demo was as bad as some gamers perceived it. For me, the demo was just an average story with average features, certainly nothing to write home about. I decided to purchase the CE version during a BOGO sale and I finished playing the game. I actually found that the game improved almost immediately after the demo ended. Yes, The Forgotten Fairytales has a storyline that's easily forgotten, yes it's a rather strange game, yes it's an easy game with easy puzzles, and yes the plot is basically the same as all the other fairytale stories out there. On the other hand, no it's not a horrible game, and no the storyline isn't as predictable as you might think, I did enjoy playing the game, there just weren't any wow factors. If you like fairytale games, you'll probably like this one as well, as long as you don't mind that it's not a challenging game. Here's a recap of my original review, so you can decide which version best suits your desires: If Fear For Sale got together with Lost Lands, this is what their offspring game would look like. The graphics at times, are almost foggy in appearance and I'm not sure if this was a particular fairy tale look they were going for, or they didn't have a large enough budget and cut some corners in the graphics department. The biggest mistake they made however, was with the storyline. If you have played a lot of HOPA games, you'll notice that they have used bits and pieces of other games. For starters, there's the Orb Eyeballs, minions of evil, that have been in several different games, with and without eyeballs. Mom is a professor (granted they aren't usually Folklore professors) and has been "chosen" as guardian of the portal (Lost Lands) Hubby and daughter are in peril and turning into stone (Surface, Myths of the World and just about every other series games) Otherworldly Bracelet that give mom super powers (probably easier to list the games who don't have a magical bracelet but how about Echos of the Past: Wolf Healer) The Bottom line is, that this is a brand new entry in the HOPA genre. I found the game to be easy, but not necessarily boring. I bought this game, because I want to play this new series through. I really think that if given a chance, this series could pick up the pace and make a better attempt at originality, with a "fairytale" theme, the possibilities are endless. The Hidden Object Scenes are mostly Interactive List finds, but some items are fairly well hidden. There are also several Zoom Zone scenes where you have to find 5 items hidden in the background scene while the zoom zone is open, just like in Witches Legacy and Fear For Sale. My favorite scene was also the most challenging, where you were tasked with finding items that match the Keywords during a story. I will admit that some of the logical item matches were hard to find in a black and white sketch. If you're not into HOP's, there is an alternate Puzzle where you swap and rotate triangle puzzle pieces to complete the image. The Mini Games are fairly easy, and again, forgettable and not original. The following are brief descriptions of some of the games you'll encounter during the demo: 1) Repeat the sequence by clicking on color coded arrows. 2) Use a scope to aim at the targets. 3) Use the symbol code decipher to spell the word Spectra. 4) Slide horizontal and vertical blocks to clear a path for the amber block to exit. 5) Swap items on the doorknockers to match the examples shown. 6) Mix primary colors to make the required secondary colors, you can match the symbols but they are easy colors, purple, green.... 7) Find and place missing items into the scene correctly. 8) Follow directions to make a drum. 9) Lead a character through a labyrinth avoiding obstacles. The Collector's Edition has 9 Wallpapers, 11 Concept Art pictures, 3 Screensavers, 3 Music Soundtracks, 10 Achievements to earn, 18 Bestiary collectibles, 6 collectible Feathers, 40 Light Crystals that are used to cleanse the Room of Spectra History to learn the secrets of the Spectra World, a built in Strategy Guide and a Bonus Chapter, enjoy!